Easy-to-Use - Install PCmover on both of your computers and follow the simple wizard to transfer everything you select to your new PC. PCs Auto Connect - Discovers and connects PCs using the fastest method detected. Complete Selectivity - Automatically transfers all selected applications, files, folders, settings, and user profiles to your new PC. PCmover Professional 11 is the ONLY software that automatically transfers applications, files, settings, and user profiles from an old PC to a new one! It’s the easiest way to move to a new PC without leaving anything behind, even when there are different versions of Windows on the old and new PC. Nothing is changed on the old PC and nothing is overwritten on the new PC. To use PCmover, simply install it on both your old and new Windows computers, and follow the easy-to-use wizard. When the transfer is complete, your new PC will have the personality and functionality of your old one. Because most transferred applications are installed ready-to-use on the new PC, there’s usually no need to find old CDs or previously downloaded applications, serial numbers, or license codes. Laplink’s PCmover is the best-selling migration solution and the ONLY one Microsoft® recommends. Easy-to-Use – Install PCmover on both of your computers and follow the simple wizard to transfer everything you select to your new PC. Set It and Forget It – You start the transfer and walk away. PCmover does the rest! PCs Auto Connect – Discovers and connects PCs using the fastest method detected. Optimized for Fastest Transfer – Provides maximum performance and time savings. You will quickly be using your new PC with everything ready to go. Complete Selectivity – Automatically transfers all selected applications, files, folders, settings, and user profiles to your new PC. USB 3.0 Support – Transfer data up to 5 Gbps with a Laplink SuperSpeed USB 3.0 cable (included in select PCmover Ultimate boxes or sold separately). “Undo” Feature – Quickly reverse changes made to your new PC if you change your mind or want to re-do the transfer with different selections. 24/7 FREE Transfer Assistance - Simply set up your new PC with the help of a certified PC migration expert, over the phone or remotely. Free, 24 hours a day, 7 days a week. PCmover Professional 11 is a quick and easy way to transfer from one Windows PC to a newer one, saving you hours or days of time in setup. PCmover's advanced features let you choose which applications, files, settings, and users to take with you when you move the data to your new PC. If your computer has multiple users, PCmover Professional gives you the option to transfer some or all of the users. The security information about file ownership and access control is preserved for each user too. Microsoft’s® Windows® 10 no longer includes Windows Easy Transfer, making PCmover Professional the critical solution for saving you time in setup. And, it is Microsoft’s recommended migration solution. PCmover Professional can transfer your PC’s data across a network (Wi-Fi or wired), a Laplink Ethernet cable, Laplink USB 2.0 cable, or Laplink USB 3.0 cable. PCmover’s auto connection technology will determine the most efficient method for you. Unlike any other migration software, PCmover also supports a direct transfer from an image or an old hard drive. Lastly, a file based transfer using external media is even an option. While PCmover completes the transfer as fast as possible, the transfer may take several hours depending on various factors: the size of the hard drive(s), the amount of data, the number and size of applications and files, and the connection speed. Although we have made PCmover as easy to use as possible, setting up a new PC can be a difficult experience. That’s why Laplink offers all PCmover customers Free Transfer Assistance, a service that provides free access to a PC transfer expert to assist with installation, connection, and configuration. For over 30 years, Laplink Software has been a global leader in PC connectivity. Our commitment to the needs of our customers has been the driving force behind all of our product development and has earned Laplink the loyalty and trust of millions of customers worldwide who migrate, transfer, synchronize, share, and remotely access their data. PCmover is not designed for migrations from newer operating systems to older operating systems. Additional Requirements: Active Internet account for download and installation. Active network or direct connection required between the old and the new PC. Prism lets you set compression/encoder rates, resolution and frame rate of output files. Prism supports everything from HD to high compression for smaller files. You can even set a specific size for output files. Add video files directly from DVDs. Just select the DVD you want to convert, choose the format you want to use, and then click the convert button. It's that easy! Prism converts avi, mpg, vob, asf, wmv, mp4and all video formats that have a DirectShow based codec. If you can play the video file using Windows Media Player, you can convert it using Prism. Preview original videos and output results before converting. Convert over 50 document file formats. Use batch conversion to convert thousands of files at once. Burn your converted or original files directly to disc. Doxillion is a multi-format file converter giving you a fast and easy way to convert documents between DOC, DOCX, PDF and other file types. Convert text documents within minutes of downloading. Just simply drag and drop your files into the Doxillion Document Converter interface, choose your desired file format and output folder, and click convert! Choose from over 50 file format options. Quick and easy one-click document convert process. Batch file converter to convert thousands of files at one time. 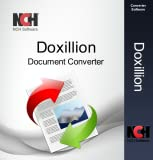 Drag and drop documents to be converted into Doxillion document converter software. Integrate seamlessly with Express Burn Disc Burning Software through the Doxillion application to create data CD or DVD backups of documents. Customize your Doxillion by selecting your own conversion, overwrite, and right click options. Designed to be very easy and intuitive to use, Doxillion document converter will be converting files in minutes. Some file formats include: .doc, .docx, .pdf, .txt, .html, .wps, .mobi, .epub, .rtf, .bmp, .java, .htm, .odt, .xps and many more. Doxillion Plus is a robust, multi-format document converter that has the ability to convert many different files at one time. Doxillion allows you to easily drag and drop your files directly into the Doxillion interface. Once you have selected your output folder and format, it is as simple as pressing Convert—all done! Doxillion has the flexibility to convert over 50 file formats. Convert between WPS, DOCX, DOC, PDF, WordPerfect formats and other file formats. Change source code into HTML. For efficiency, take advantage of Batch File Conversion and convert all or a selection of your files at once. Whether for the office, home use, school, or just have those rare files that need to be converted to a more popular format, Doxillion can make your converting experience quick and easy. Convert from over 50 file formats! Enjoy the convenience of batch conversion by converting many images at once. Easily connect to Express Burn to burn your images or PhotoStage to create a slideshow within Pixillion. REPAIR MULTIPLE PHOTOS IN ONE GO - The software can simultaneously repair unlimited number of photos of same or different formats. It offers a quick and easy way to repair hundreds of corrupt, broken or damaged files stored in any drive or media. 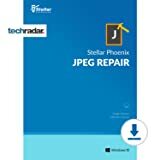 Stellar Repair for Photo software is the best DIY tool to repair corrupt or damaged photo formats like CRW, DNG, NEF, TIFF, JPEG, ORF, PEF etc. If your images appear distorted, split, grainy, blurred, pixelated, Stellar Repair for Photo will help you resurrect your prized memories making them sharp and vivid. 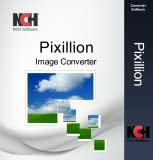 Pixillion Image Converter for Mac is a free, quick and easy way to convert all your photo and image files to the file format you are looking for in minutes. Enjoy the convenience of the drag and drop feature by simply dragging all your files into the interface. Manipulate your photos by resizing or using the in-app editing tools available. Then, select your desired output file format and the folder you would like your photos in and convert!